See more Blue Casual jackets. We check over 450 stores daily and we last saw this product for $204 at Nordstrom. 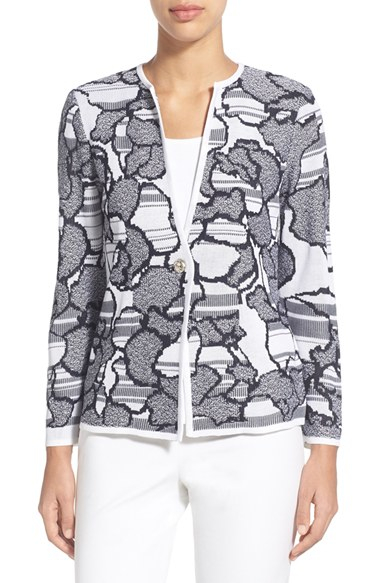 For relaxed weekend style, look no further than Ming Wang's floral and striped jacquard sweater casual jacket. In a gray and white hue, this casual design is detailed with pearlescent buttons and long sleeves. Finished with a V-neckline, wear yours with skinny jeans and ballet flats while enjoying some downtime.